I got some! I'ma put 'em here. When I get more, I'ma put those here too! 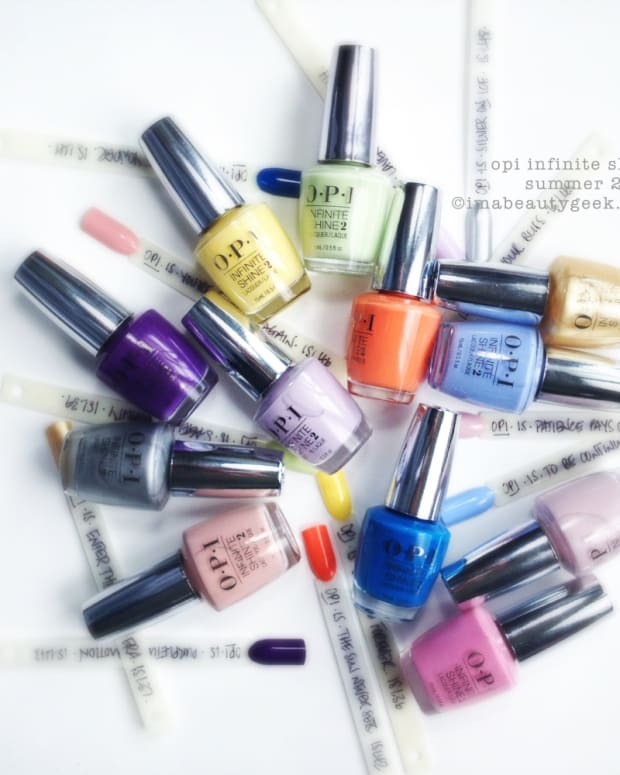 Ya’ll know the new OPI Infinite Shine is out, right? 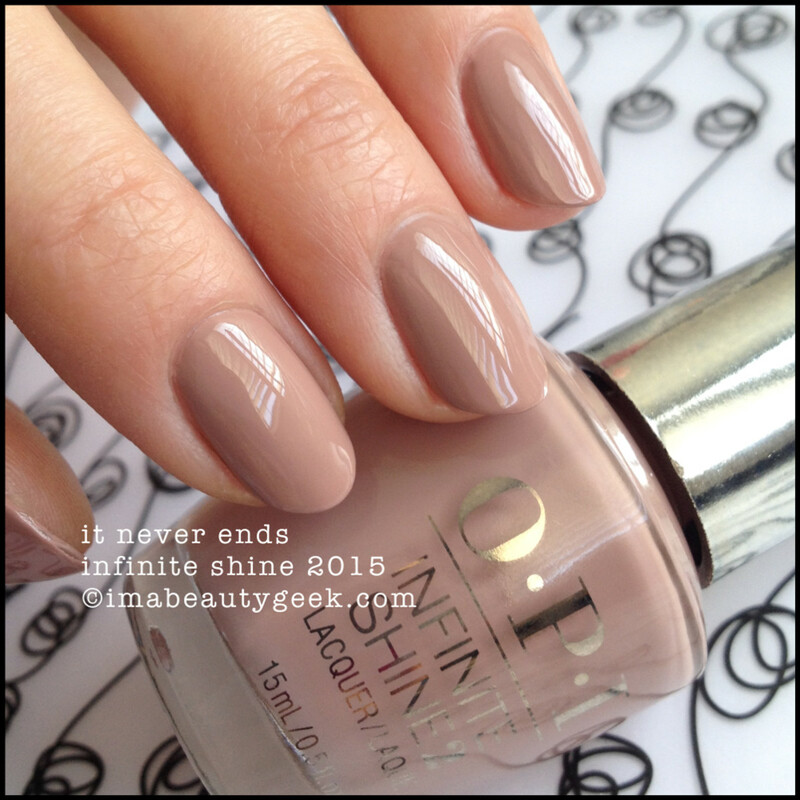 I did you a day by day OPI Infinite Shine review right here. This isn’t the review part, nope. This is just swatches. There aren’t many to date but that’s only because I haven’t been able to get my hands on as much as I’d like to. As I get more, I’ll add more right into this here post! How’s that for convenient! Now lemme tell you what you’ll be looking at unless otherwise noted. It’ll be one coat of primer and two coats of colour. I didn’t use top coat on everything because well, I’m lazy. Ha! Bet you weren’t expecting that! above: opi indignantly indigo. It’s blue. Kinda right there at indigo. Also, kinda perfect. Not black and not navy. You know you wannit. 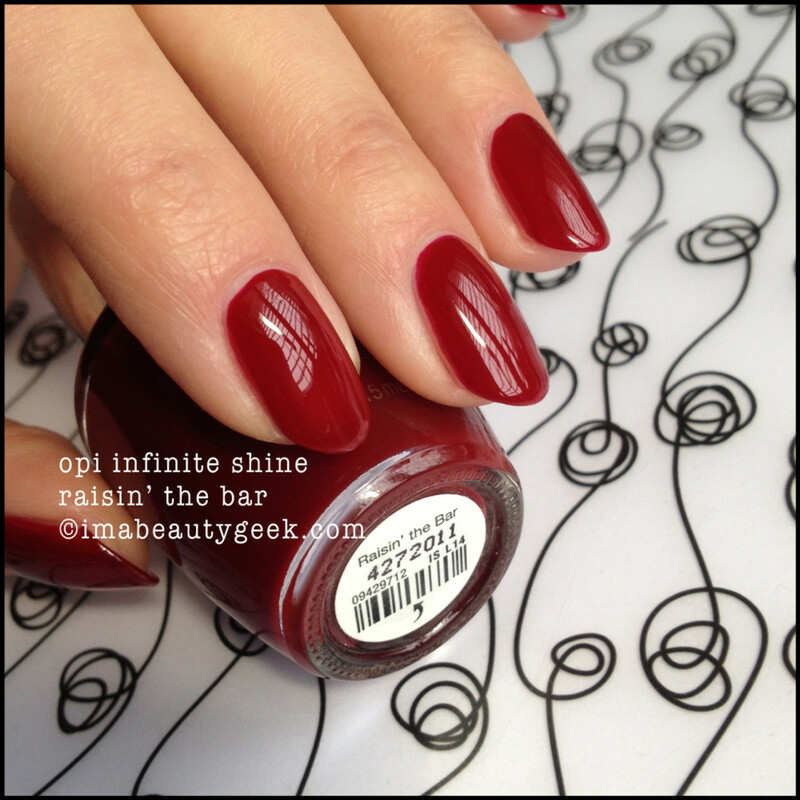 above: opi unequivocally crimson. You saw this one over in The Infinite Shine review post. It’s pretty and it’s a perfect poppy red. That’s one coat of the OPI Primer (which by the way, dries lightning fast), two coats of Unequivocally Crimson, and one nice even coat of Infinite Shine Gloss top coat. Easy peasy! She stains pretty good though and while I love this shade of poppy red, this one I’d rather skip. I mean who really needs red cuticles ‘n side walls once you take the stuff off, huh? 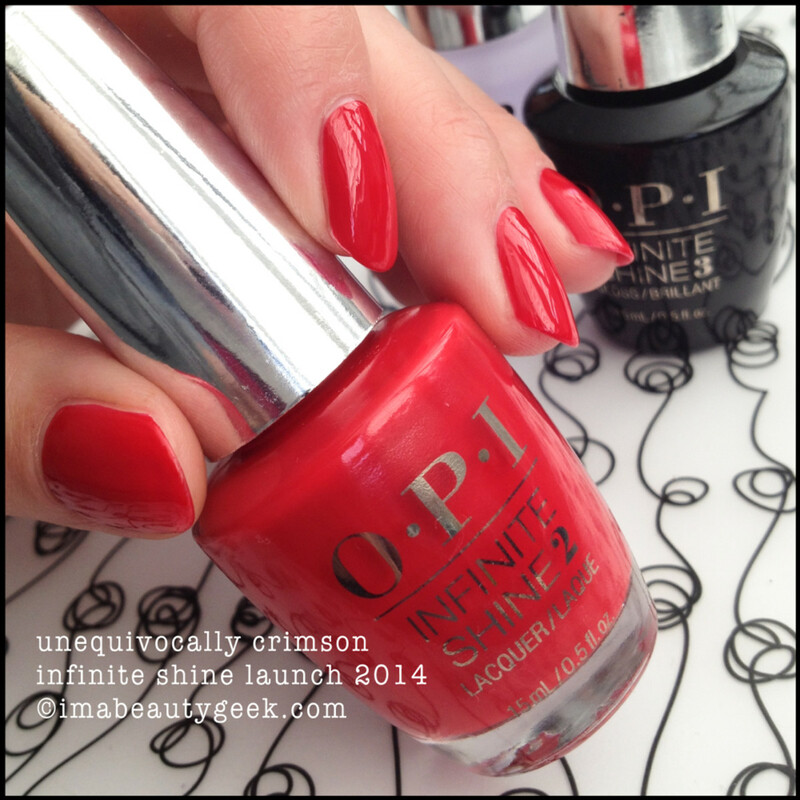 above: opi unequivocally crimson. A second shot because with a little different light, she almost shows poppy with a side of raspberry. Mostly she’s bright poppy though. above: opi she went on and on and on. Deep coral with a shot of pink – that’s what this is. And beautiful. I don’t have a shade like this in my Archives so I’ma give this one a special place. I love it! above: opi she went on and on and on. And there’s your second shot just because I can. 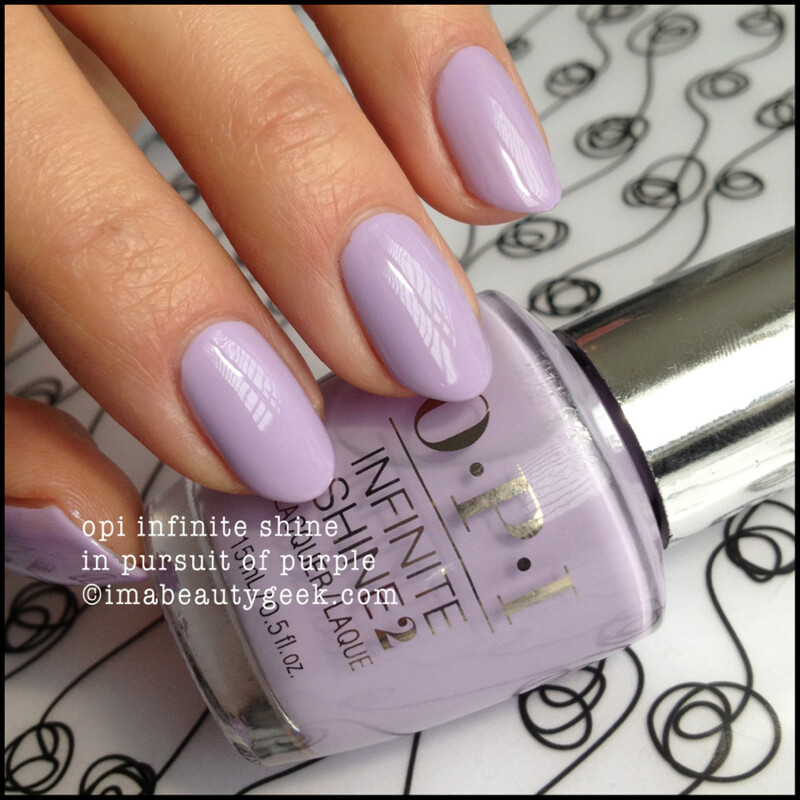 above: opi in pursuit of purple. I should probably mention how I feel about the formula of this Infinite Shine stuff. After having used a few bottles, I can safely say that what I’ve used is made of good stuff. It all levels over the base coat very well and it’s only taking two coats to get perfectly opaque. It’s good! I like it! above: opi in pursuit of purple. This second shot is more true to the actual shade I think. Again, depending on the light, these Infinite Shine shades can show a little more dusty where in straight up natural light, they’re actually more vibrant. 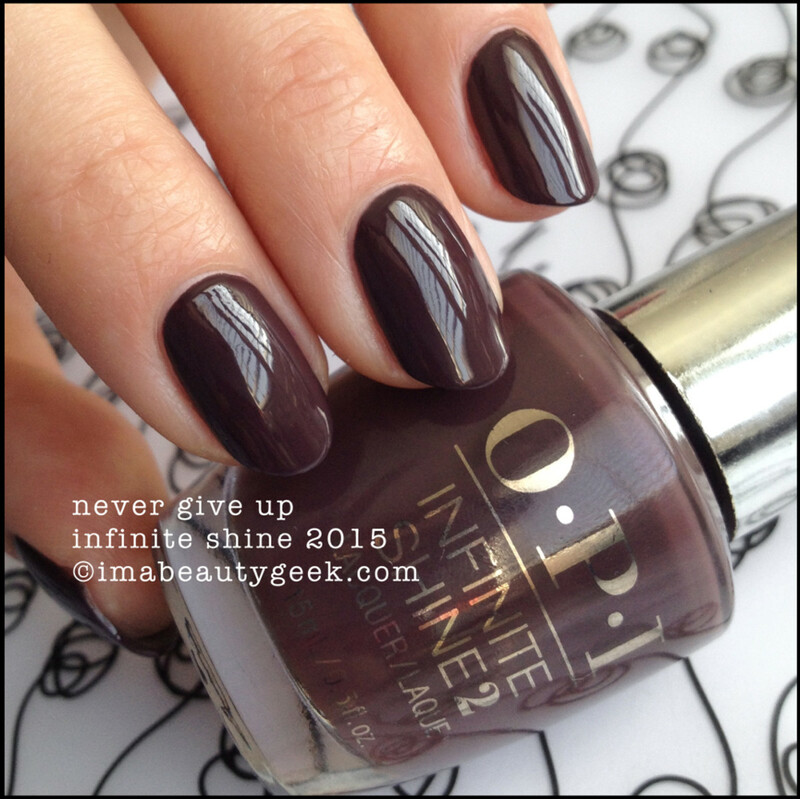 above: opi raisin’ the bar. Hey! I don’t have full-on crustacean-hands from this deep cherry shade! Normally with shades like this, lobster-hands happens but today, not so much! It’s overcast in this picture so let’s look at the next one. above: opi raisin’ the bar. See? Vibrant. 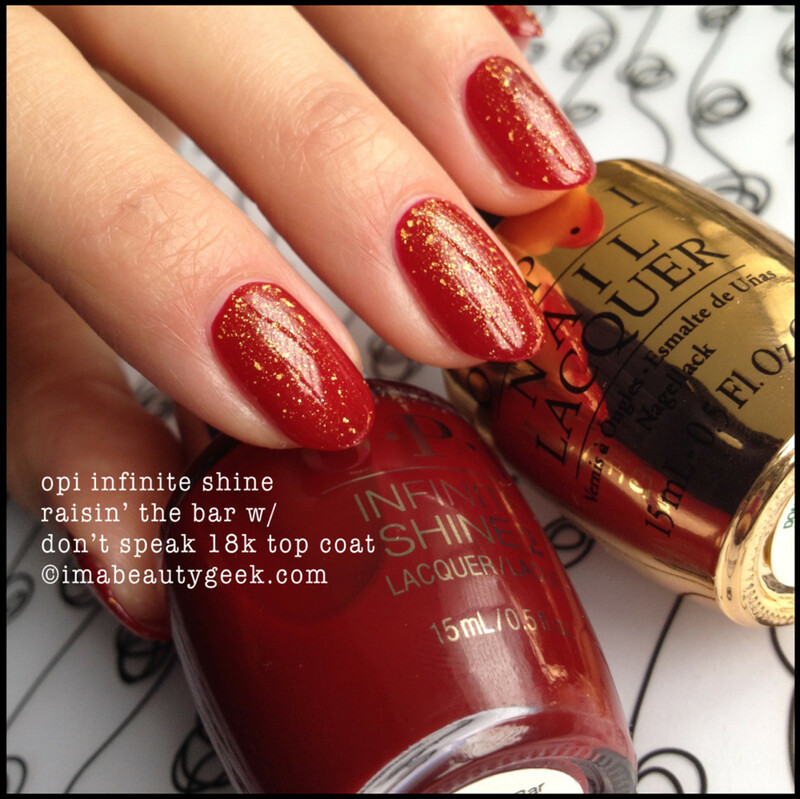 above: opi raisin’ the bar with don’t speak 18k top coat. Yes, I skipped the Infinite Shine topcoat in favour of this pretty 18k OPI. I mean, why wouldn’t I? Look at it! Prett-eh!! 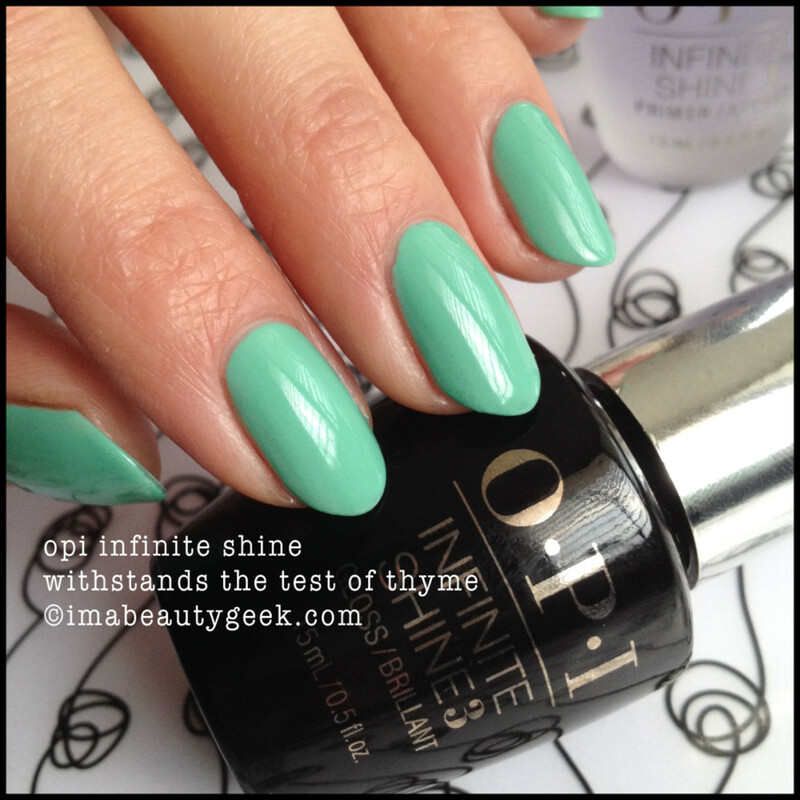 above: opi withstands the test of thyme. Almost forgot this one! 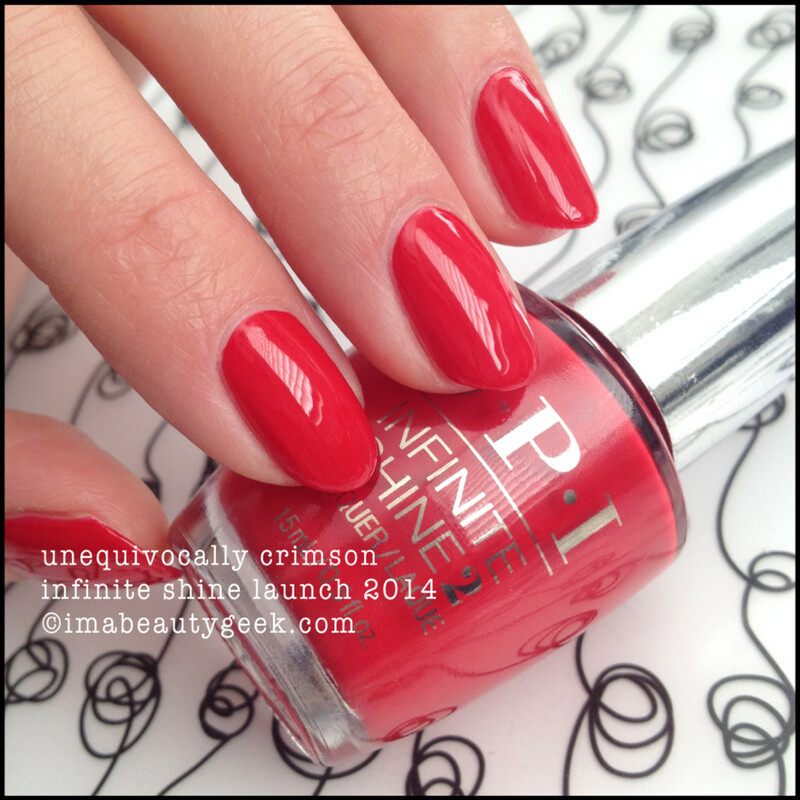 I showed it to you in the Review post (and it wore spectacularly well for me!) but here it is again. A dusty thyme-y shade of green unlike any other in my Archives. #GimmieThat. 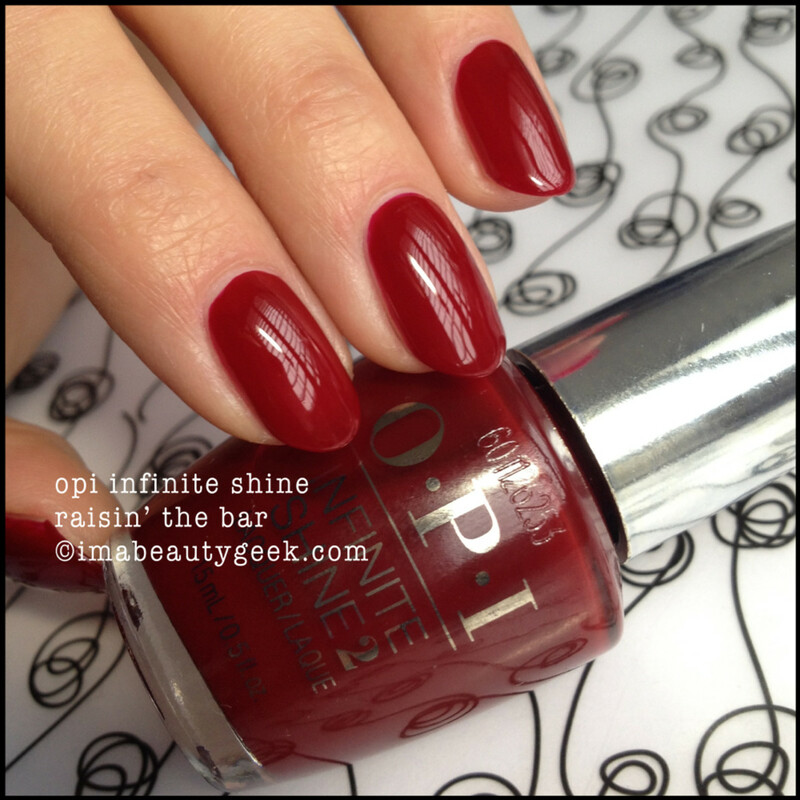 more opi infinite shine swatches! wheeeee!!! 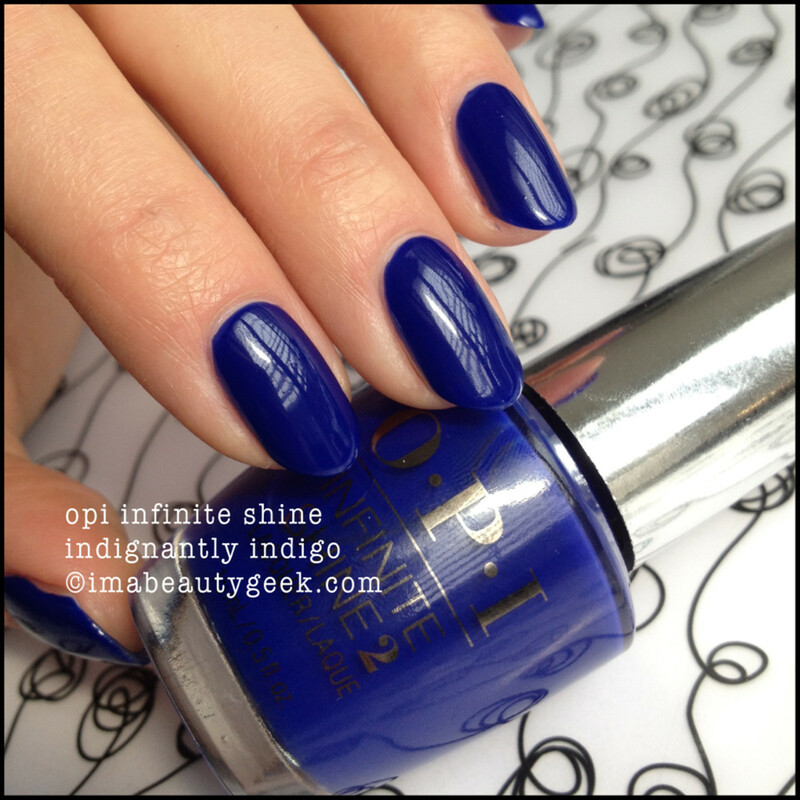 Above: OPI To Infinity & Blue-yond. That&apos;s two moderate coats and zero top coat. This blue is stunning. 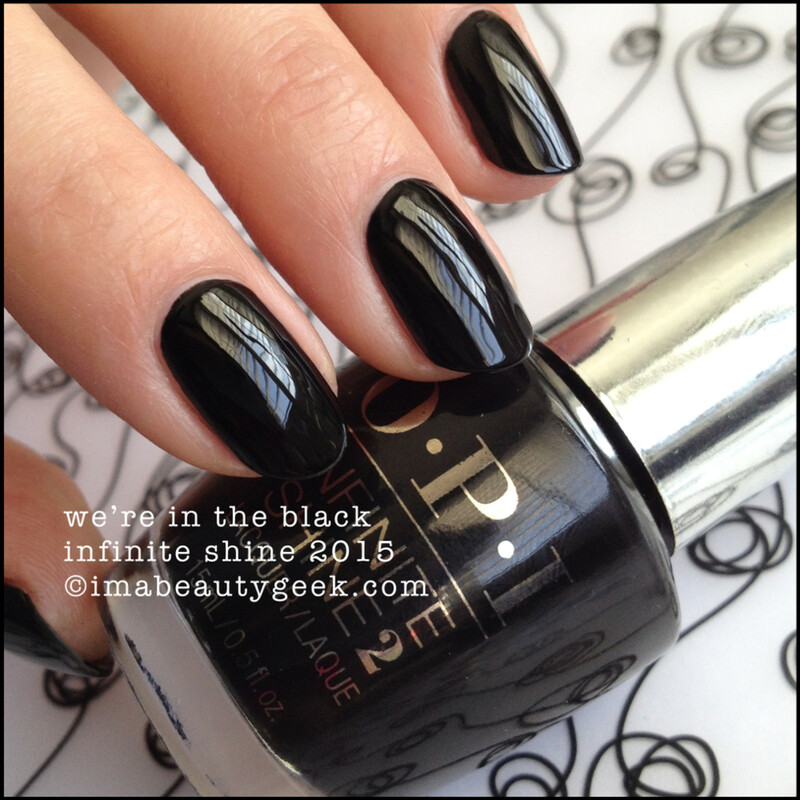 I don&apos;t have an OPI shade in my archives that even comes close to it. 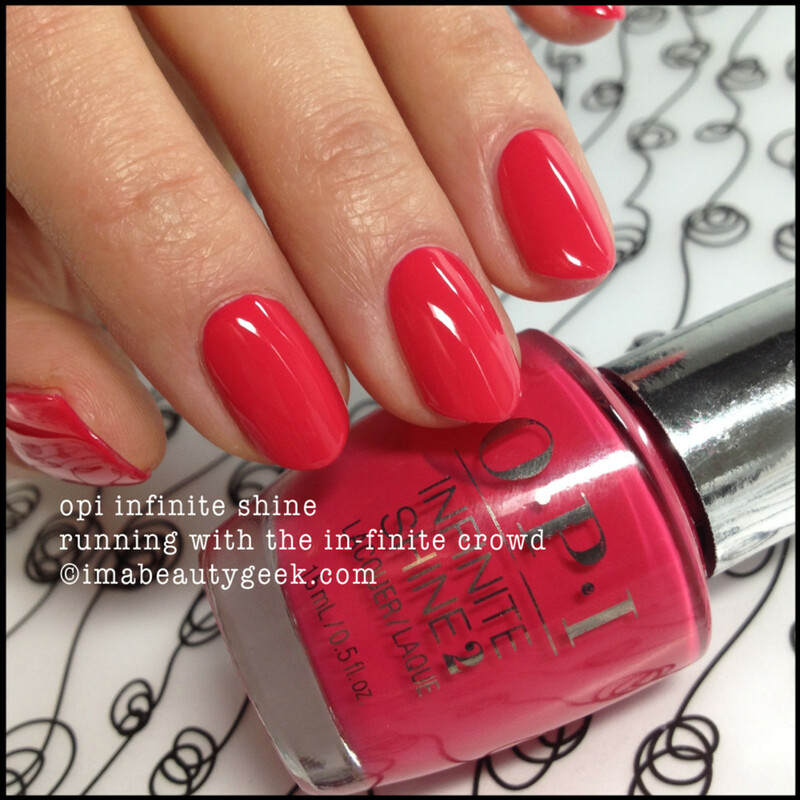 Above: OPI Running with the In-finite Crowd. It&apos;s kinda really deep raspberry red that in the bottle looks slighty dusty but once on the nail, no dust - dust free. That&apos;s right - like someone took a Swiffer to it. Prett-eh!! Above: Infinite Shine No Stopping Me Now. Ain&apos;t nuthin&apos; I can say about this that you can&apos;t see except you&apos;re going to be tempted to use it as a OCW!! Don&apos;t. You need two coats + top coat to achieve longer wear. Trust me. 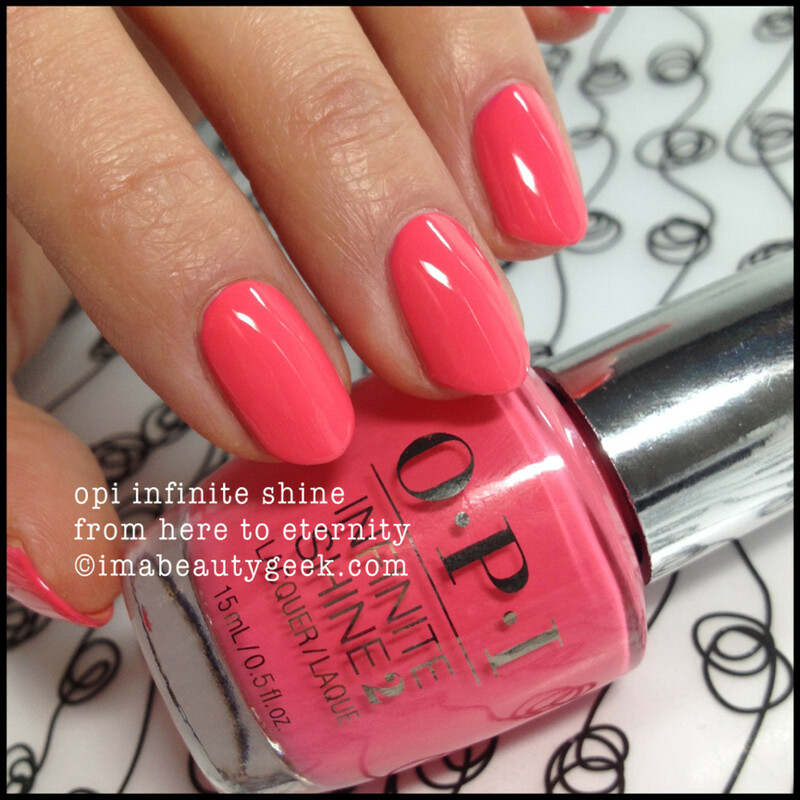 Above: OPI Infinite Shine Girl Without Limits. Sometimes when it comes to describing colours, I draw a blank &apos;cause all I can think is #GimmieThat. Above: From Here to Eternity. Man-O-Man! Lookit that perfect coral pink! Just lookit! 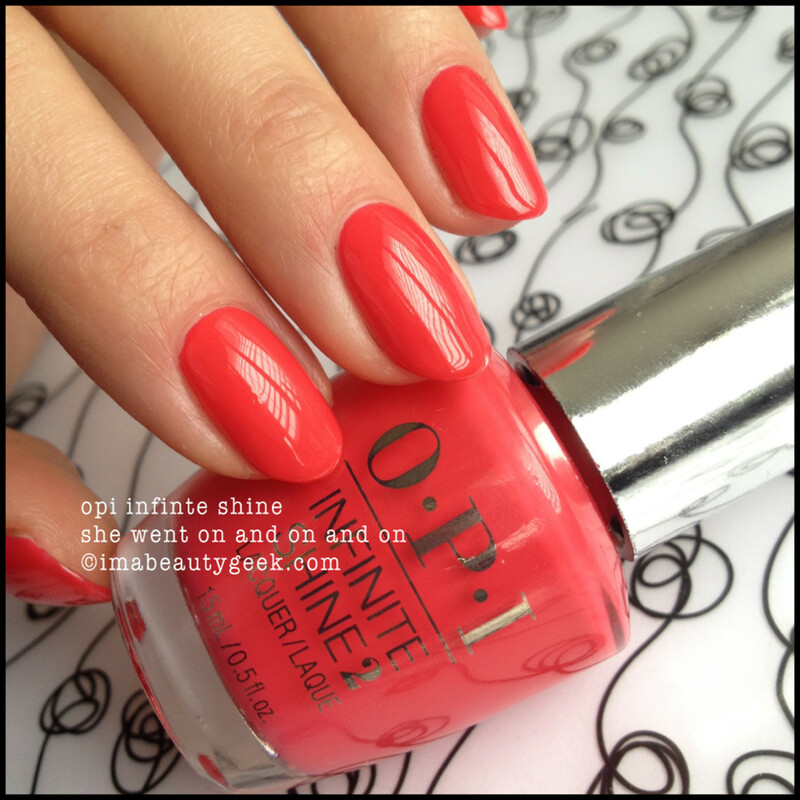 I loved it dearly right up until the time it stained my cuticles perfectly coral pink. And that’s all I’ve managed to get my hands on so far; suppliers in Canada are few &apos;n far between but lately, I&apos;ve seen it popping up in Trade Secret stores. If you&apos;re in the US, Ulta.com carries the stuff too. More is coming and as soon as it does, I’ll update with more swatches. In the meantime, I have a little piece of information that may be important to you… I’ve been hearing reports of bubbles. I know, right? Scary. There haven’t been many (in fact, only two) but they’re out there. Others have been hearing one or two similar stories and it seems the problem for some people is in the top coat. As you can see from my swatches and the review I did, I didn’t experience any bubbling. I’m gonna keep my ear to the ground for you though and if I get more reports, I’ll let you know. 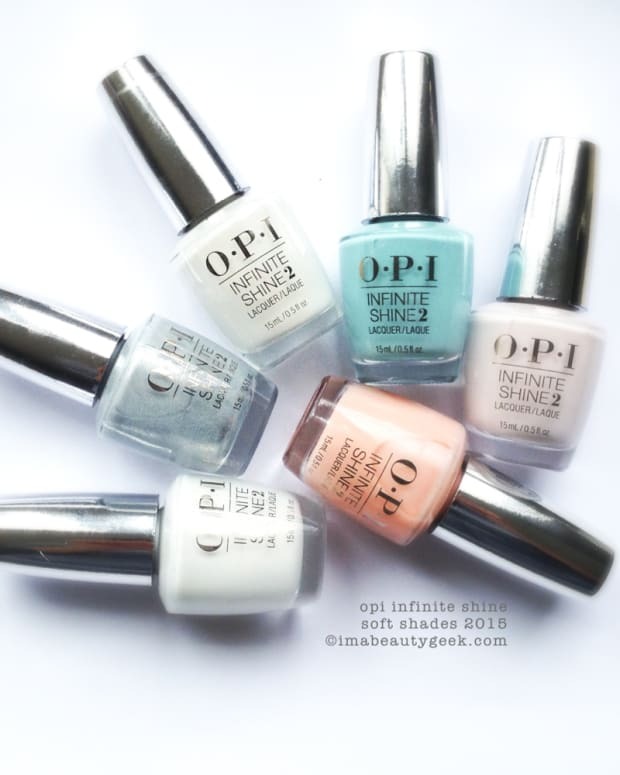 If you do or don’t have bubbles, we’d love it if you could leave us a quick comment so other readers will be able to see what’s happening with Infinite Shine on your nails. So far, bubbles is the definite minority but the product is new so everyone is looking for information. Keep me posted? 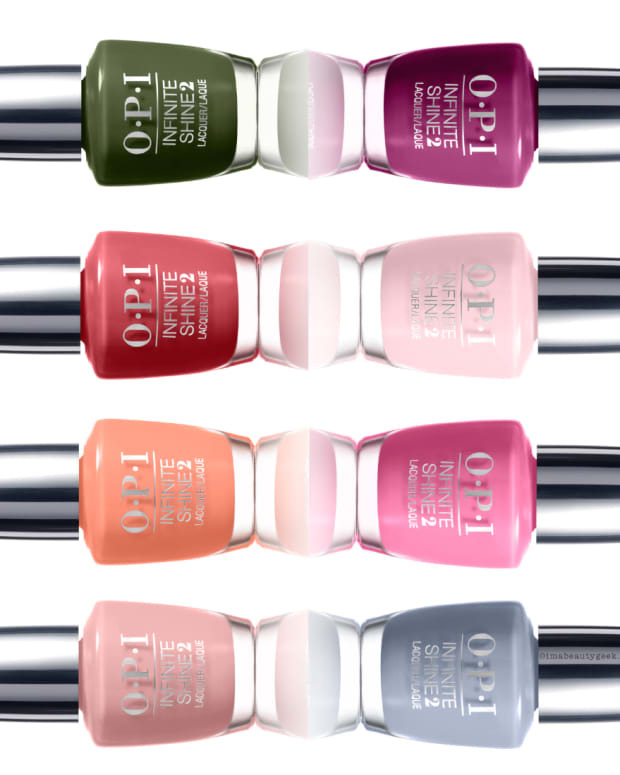 For more information on everything OPI, visit OPI.com. And here are some handy lazy links for the Beautygeeks swatches of OPI Fifty Shades of Grey, and OPI Hawaii. Love you all long time!